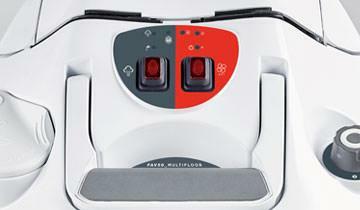 Vaporetto Lecoaspira FAV50_Multifloor is the special steam cleaner that also has a water filtration vacuum system that allows you to clean any type of floor: parquet, ceramic, carpets and rugs, tiles and marble. The included accessories allow you to do even special and deep cleaning jobs: hobs taps, sinks, bathroom fixtures, mirrors and windows, radiators, blinds and curtains. Water is the best filter for trapping dust and pollen and returning purified air. The Multifloor function allows you to clean all types of floors, combining steam and suction: parquet, ceramic, carpets and rugs, tile and marble. Simply select the steam level based on the type of floor, activate the Multifloor function and Vaporetto Lecoaspira does the rest. 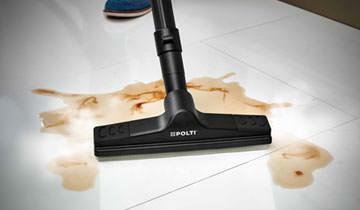 With Vaporetto Lecoaspira FAV50_Multifloor you can clean all surfaces, eliminating both dry and liquid dirt, a fabulous advantage when cleaning the entire home. When you clean with steam, the water in the tank is used, Vaporetto Lecoaspira FAV50_ Multifloor includes auto-refill technology that allows you to add more water at any time, without stopping. 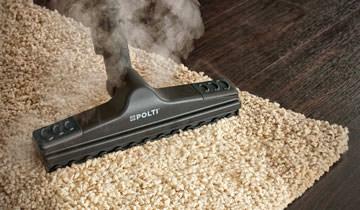 With Vaporetto Lecoaspira FAV50_Multifloor you can get your carpet deep down clean, simply set the correct steam level and activate the Multifloor function. 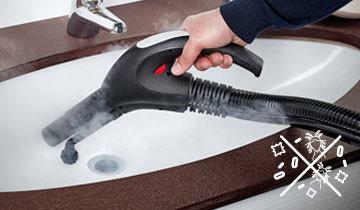 The device sets the appropriate suction and steam rates. 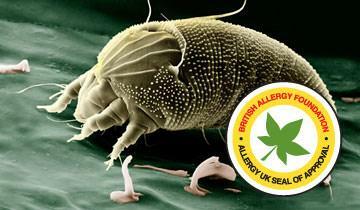 The result is a perfectly clean carpet with shiny fibres that look like new. With Vaporetto Lecoaspira FAV50_Multifloor you can feel safe cleaning even the most delicate surfaces with the right combination of steam and suction. Select steam based on the surface in question and when the Multifloor Function is activated, the appropriate levels are automatically set. The result is a sanitised floor whose delicate nature is respected. Thanks to the hygienic power of steam, Vaporetto Lecoaspira eliminates up to 99.99% of germs and bacteria, a guarantee for those who want their bathroom to always be perfectly clean. And, with the included accessories for sinks and bathroom fixtures, even the most difficult areas will be clean. Using the special window cleaning accessory you can clean windows, mirrors and all glass surfaces, dissolving dirt and eliminating grease, germs and bacteria. 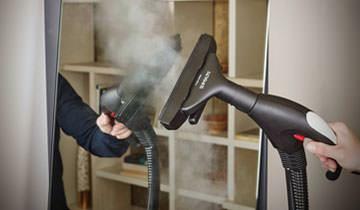 For transparent clean results, without streaks and without detergent. 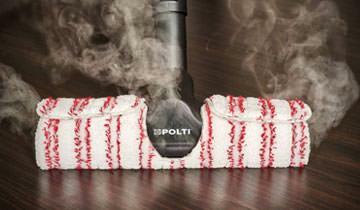 This brush can be used on all floors, with both the steam and the suction functions. Alternating the frames you can wash tiles, parquet or carpets, simply choose the appropriate one. This accessory can be used for several tasks: 1. vacuuming small surfaces such as pillows, sofas, furniture 2. steam cleaning upholstered items, cabinet doors, kitchen hoods and hobs with the sockette 3. cleaning windows or mirrors with the window cleaning insert. 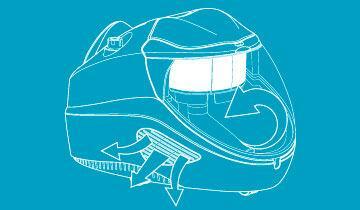 2 cloths are provided, to collect the dirt dissolved by the steam, appropriate for all floor types. The brush provided is useful when cleaning the collection tank. 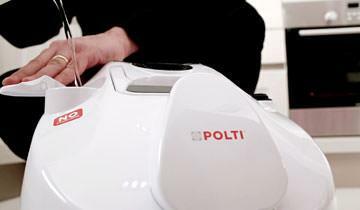 It can also be used to clean the slots of the device tubes and the insides of the accessories.